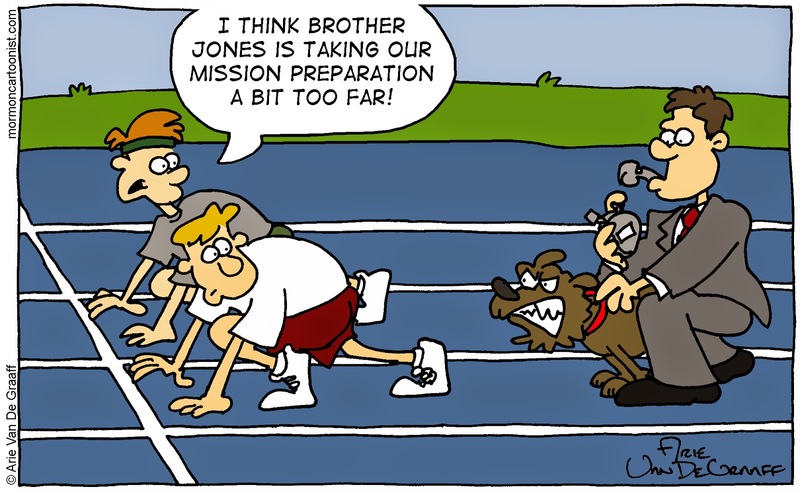 Just remember, missionaries: you don't have to be faster than the dog, just faster than your companion. One of our Young Men gave an amusing sacrament meeting talk in which he said that he was preparing for his mission by walking everywhere and eating everything that was put in front of him! By that definition, most teenagers everywhere are preparing for their missions.